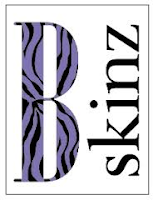 Bskinz : 2007 when we realized that girls and women don’t really have many options when it comes to athletic wear. Sure, you can find sports bras and shorts that do what they’re supposed to do, but where’s the color? Where’s the fun and individuality that so many young, athletic women embrace? Girls today are strong, self-possessed, and confident of who they are, and we make athletic wear that reflects that with over 125 rich colors and bold patterns that let girls flaunt what they’ve got – on and off the field. Our clothing makes you feel good when you put it on because we use high-quality nylon spandex, use cuts and styles that allow for full range of motion, are continuously adding colors and styles that girls love to wear, an are committed to making all our products in the USA. "Read More". I received the Orange Swirl Tie-Dye Compression Shorts from Bskinz . I have recently started going through life changes because of health and life issues, and I have been serious about health and exercise, I have bought a lot of workout clothes and have bought some that I never wear because they are so uncomfortable because of the fabrics, and fit. If you have a regular exercise routine then you know how difficult it is to stay motivated when you are uncomfortable while doing it. I used to wear spandex/spanks fitted clothing a very long time ago, and it was the most comfortable pieces of clothing that I owned. I wore them everywhere. School, work, working out, or just lounging around. ♥ The opinion(s) are of my own. I was not paid for my opinion(s).